To offer a little inspiration, here's a short film by Sarah Keeling of the event we took part in last year on 24th April when we teamed up with Designer Jumble to run a Sew It Forward drop in at their Westfield pop-up. The film features our very own Zoe Robinson along with Designer Jumble founder and former editor of Vogue.com Abi Chisman, blogger Susie Lau from Stylebubble.co.uk, designers Finchittida Finch and designer Katie Jones. Discover how you can get involved: whether you are a member of the public, or a brand, retailer, designer, farmer, producer or factory owner there is something you can do to offer your support. You can also have a peek behind the scenes of the FRD 2015 photo shoot, styled by our good friend Alice Wilby in the below film created by Christopher Cunniff and Rachel Mann. I'm thrilled to see there is a day to make people think about how their clothes are made and the conditions they are produced in. 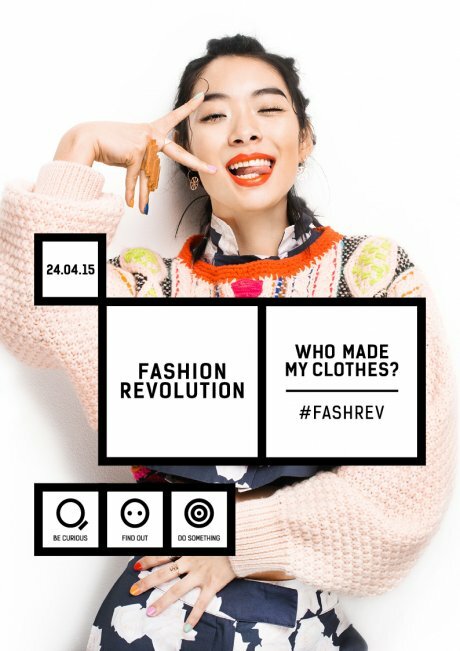 Recognizing these situations will help people see how conscious efforts to improve the fashion industry standards as well as how we purchase as clothes as consumers.